Over 75% of people in the UK bought goods or services online last year. This is a staggering figure considering the internet has only just turned twenty, but one that goes a long way to explaining how – in just two decades – we’ve become the world’s third largest ecommerce sector. This means, however, that if you own an ecommerce business, you are working in a very crowded and increasingly competitive market, one that is constantly changing and requires you to change with it if you want to succeed. So, whereas once upon a time, your customers were probably more than happy to receive their purchases in a plain brown box and surrounded by brown packaging paper, now they want something more. Something, many of your competitors are probably already offering – custom packaging that turns ordering online from a simple transaction into an experience. Packaging goes a long way to telling a customer who your company is and what you stand for. It can show them you care about them, value their business and want them to buy from you again. Or, it can show them you aren’t that bothered, that they are nothing more than a sale in a long line of sales and you wouldn’t miss them if they go. Which is why custom packaging is so important and, if you don’t use it already, why you need to make it part of your plans for 2019. Branding: While a plain brown box works just as well as one with a logo from a practical standpoint, it doesn’t help you get your name out there or stand out in a crowd. Branding your boxes mean that not only does your customer know about you, everyone who comes into contact with your box sees your name and may well remember next time they go online. Messaging: Every company has a USP, something that sets them apart from their competitors. The trick is getting this message across. With custom packaging, you can do this. Food companies, for example, might want people to know their food is always fresh, even if it’s being shipped, or that it’s locally sourced. Image: In competitive markets, the more you can do to stand out in the crowd, the better, especially if you are starting out or aren’t the biggest player in the field. Your custom packaging can help you do just that. It presents a professional image, one that says you are serious about what you do and won’t let your customers down. Sustainability: Today’s consumer wants to buy from companies committed to reducing their environmental footprint. Creating custom packaging from recycled/recyclable materials and limiting (or eliminating) the use of plastics tells them what happens to the planet matters to you as much as it does to them and is likely to lead to repeat business. Sharing: Social media has become increasingly important to ecommerce businesses over the last few years, with people sharing what they like (and don’t) about products online. If the people sharing have large enough followings, it can create a real boost for your business. And they are more likely to share if what arrives on their doorstep has custom packaging – though you need to make sure that packaging looks good on camera! At the end of the day, what you put in your packaging will always matter more to the customer than the packaging, we know that. Which is why it’s important to get your packaging right because customisation isn’t just about what’s on the outside, it’s about what’s on the inside, and that needs to arrive with your customer in perfect condition. Think about what you’re shipping and how your packaging can be used to protect its contents. 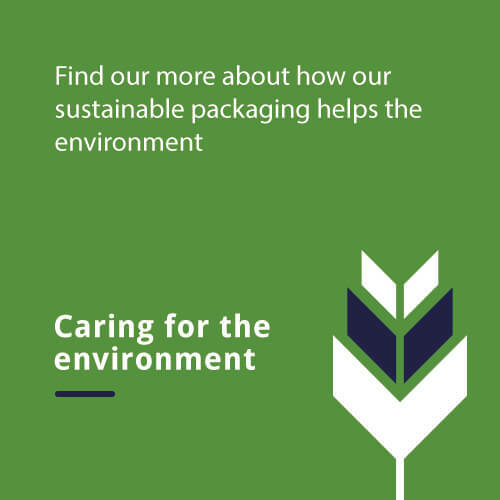 This will probably mean moving away from traditional packaging – standard sized boxes with lots of excess packaging materials to something that fits your products perfectly, keeping them safe until they reach their destination. If you aren’t sure how this might work, talk to packaging companies such as Ribble, who can talk you through the process and your options, or explore packaging solutions such as Box On Demand, which allow you to produce perfectly sized packaging for everything you need to ship.